Micromax Informatics feels that a shift from third-generation or 3G to fourth-generation (4G) technology would be rapid, and to cash in on high-speed data networks surge, the company is in talks with ‘4G-focused telcos ‘ and plans to raise the share of 4G-compatible smartphones to as much as three-quarters of the entire product range by 2017. “Given our robust 4G strategy in the past few months, we have been able to increase 4G uptake unprecedentedly , and now around 35% of our smartphones are 4G. Going forward, in FY17, 65-75% of our smartphones will be 4G-enabled,” Micromax Informatics chief marketing officer Shubhajit Sen told ET. The homegrown company has close to 30 4G-enabled smartphone variants which work on dual bands, and has divided the portfolio into two broad price categories -between ‘4,000 and ‘10,000 and ‘10,000 and ‘18,000 -to strategically tap users migrating to highspeed data networks. Micromax said that it is in discussions with `leading 4G service providers’ for bundled-service offers but however refused to reveal the operators’ names. India’s largest telco Bharti Airtel has rolled out 4G networks over the 1800 MHz (FDD LTE) and 2300 MHz (TDD LTE) bands covering as many as 400 locations while arch rival Reliance Jio, a pure-play 4G operator is all set to launch services commercially soon on a pan-India basis. “India is at the cusp of digital revolution. 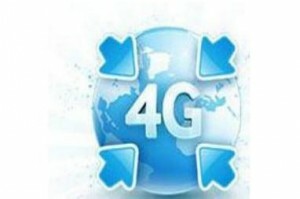 The shift from 3G to 4G will be much faster than the move from 2G to 3G network, and there will be users who will skip 3G altogether and move straight to 4G network,” he added. In addition, YU Televentures, a Micromax subsidiary has an entire 4G and VoLTE -enabled smartphone portfolio under the YU range.